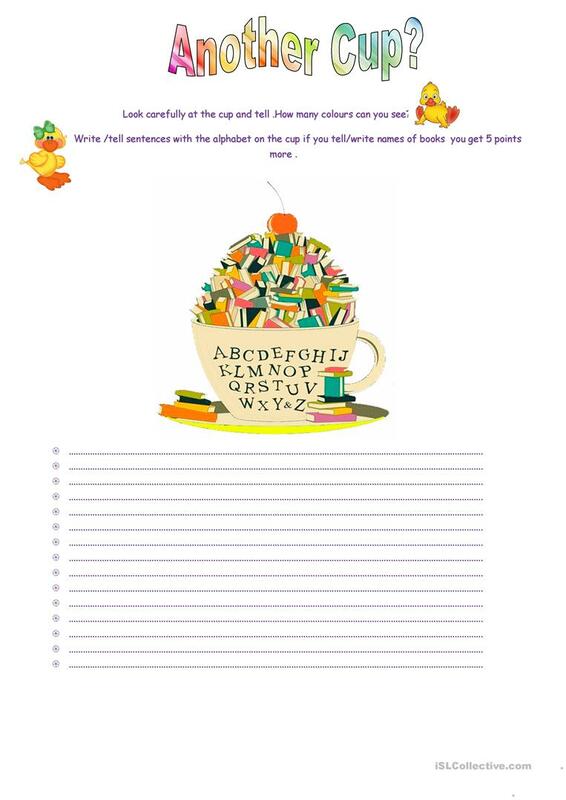 Game WS (individual /team) Sts have to Write /tell sentences with the alphabet on the cup if theytell/write names of books they get 5 points more . The present downloadable printable is a great resource for high school students, elementary school students and adults at Beginner (pre-A1), Elementary (A1), Pre-intermediate (A2) and Intermediate (B1) level. It is aimed at teaching Nouns in English, and is excellent for working on your groups' Spelling, Speaking and Writing skills. It features the topic and words of Culture, intercultural communication, cross-cultural communication.